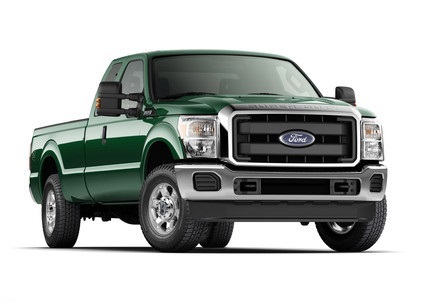 Trucks and giant SUVs top HDLI's list of most commonly stolen newer vehicles. The most stolen vehicles in America are not cars anymore. The Ford F250 pickup truck has now passed last year’s top stolen vehicle, the Cadillac Escalade according the Highway Loss Data Institute, a think tank funded by the insurance companies that run the advertisements you love to watch about how much money we are all saving by switching insurance providers. HDLI’s listing is different from others because it takes into account the number of vehicles on the road and limits them to the past three model years. Otherwise, the list is skewed because the older, most frequently sold cars on the list dominate the results. Therefore, HDLI’s list is more helpful for insurers and shoppers who are comparing newer car options to determine which are the most commonly stolen. Apparently car thieves like big American iron. Maybe they all have a Home Depot trip planned, or are going on a wild expedition to the mall, which is the natural habitat for the brute utes on the list. These are purely speculation. The HDLI thinks it knows why these old-school haulers are being stolen. HDLI said in a press release that “New antitheft technology on the Escalade, as well as its waning popularity, are two likely reasons the luxury SUV has fallen from first to sixth place in the ranking of vehicles with the highest rates of insurance claims for theft.” However, it also mentions that real car thieves don’t care about anti-theft devices because they now just pull up with flatbed tow trucks and haul the vehicle away to be stripped of parts, or packaged for sale to another country. In fact, although engine immobilizers are credited with lowering thefts overall, the F-250 and Escalade break that trend because they have a standard engine immobilizer. If you are shopping for a new vehicle it is worth noting that the most commonly stolen vehicles are generally more expensive to insure than other vehicle options.